depending on the size of the awning. 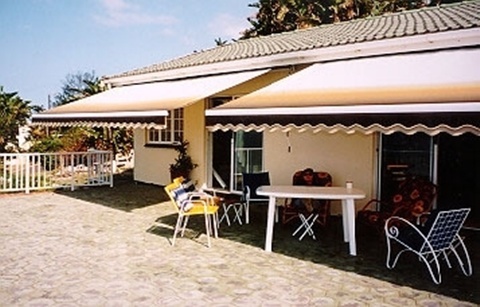 Awnings up to 5985mm wide - are supplied with 2 arms and awnings up to 7165mm wide - are supplied with 3 arms. A 1200mm long gear operating handle is supplied with all gear controlled awnings.